A great partnership has been strengthening in the West Loddon Mallee Region with the DHS Disability Accommodation Services. 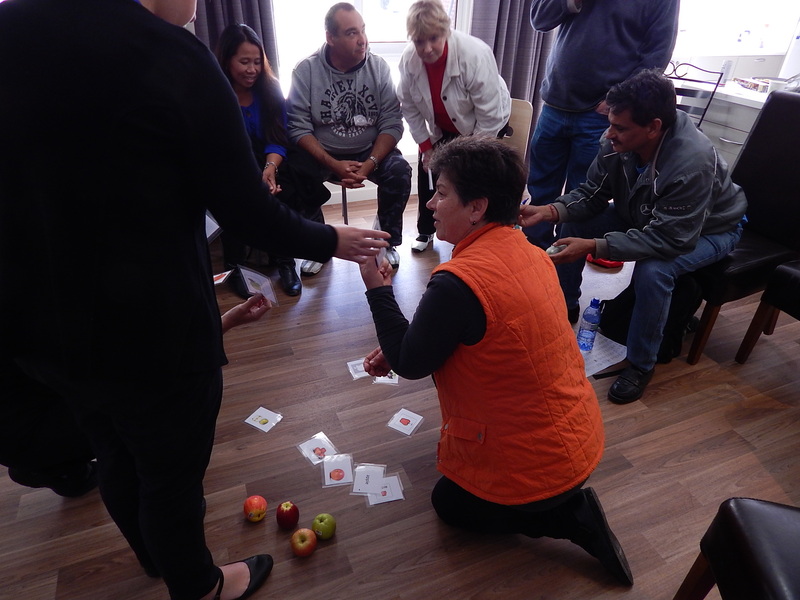 Recently all of the housing staff in Swan Hill attended a communication training day with a bit of a twist. Sharon Champion worked with James White (Accommodation Services Operation Manager) with the support of the house supervisors to put it all together. At the beginning of the training the staff entered a situation where they personally experienced communication breakdowns. This led to an invaluable debrief about how they felt and how their behaviour changed. A link was clearly made between communication and behaviour. In particular, behaviours of concern were discussed further in the context of the houses. So when is an apple not an apple? The staff explored the different levels of communication and object symbol selection through fun and games in their teams. They identified the most concrete, through to the most abstract form of representation for an apple. It was interesting to hear the different opinions and discussions as to why they wouldn’t identify with some of the pictures. 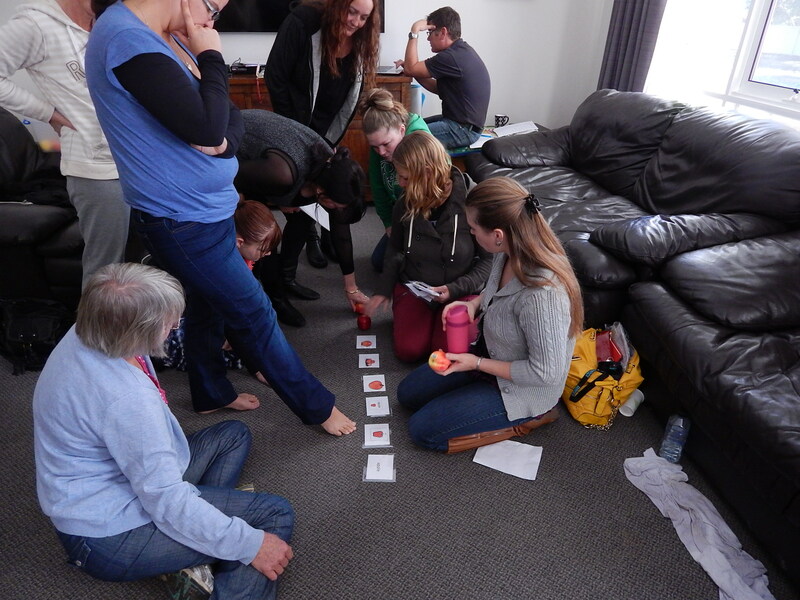 This activity really hit home for a lot of the staff, in realising the different levels of communication that might be required for the people they are working with. The group finished off by splitting into their house groups to set a solid communication goal to work towards. This was a motivating way to end the session, as they were able to immediately put theory into action, in a practical way for their residents. All staff were so enthusiastic, had a go, and said they really enjoyed the interactive training. Due to its success and great feedback, the crew in Mildura are now keen to run the training to kick things off in the north of the region, in August. Very exciting times for communication in accommodation services in the West Loddon Mallee! This entry was posted in Uncategorized on July 18, 2014 by crcscope. Stroke a Chord turns four! 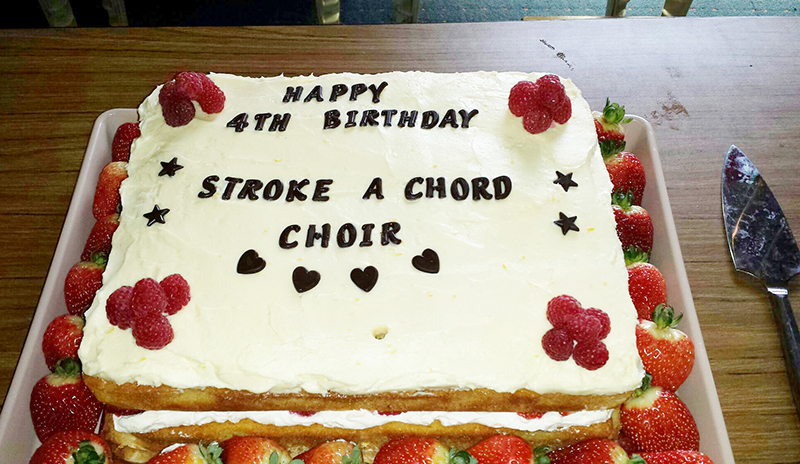 On May 13th Stroke a Chord celebrated four years of support for people who cannot speak but can sing. 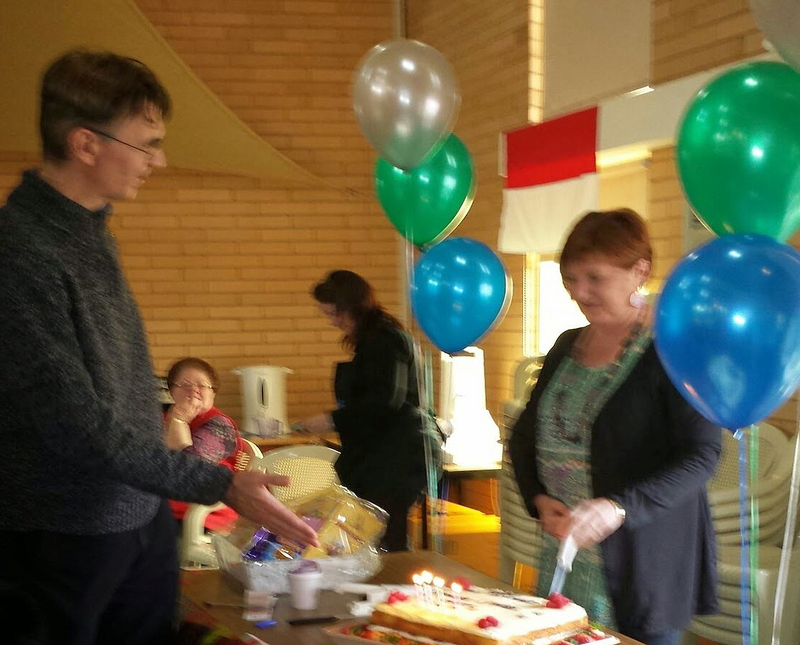 They celebrated in style with a fabulous Birthday cake and of course lots of singing. 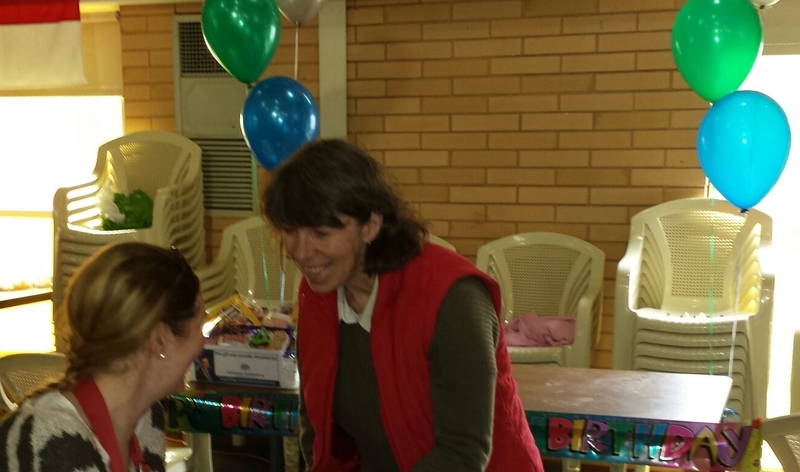 Our fabulous Birthday cake was donated by ‘Tasty Az’ catering, a local catering business which provides hospitality training for young people with a disability. It was a magnificent sponge with fresh strawberries picked that morning from one of our outer east strawberry farms. 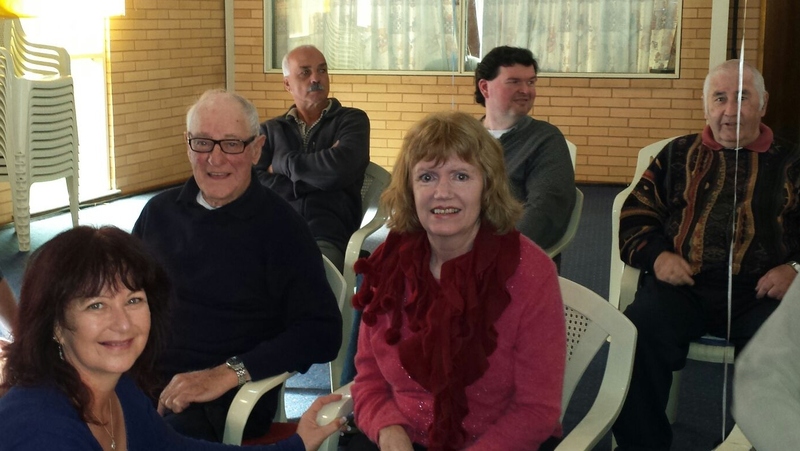 The choir for people with stroke and aphasia (loss of speech after a stroke) was started in 2010 by community partners Croydon Stroke Support, Maroondah Council’s CommunicationAccess Network service. It is currently staffed by Yooralla’s Music Therapist, Anja Tanhane and Yooralla’s CAN service Speech Pathologist Bronwen Jones. It is also ably supported by some fabulous volunteer musicians and wonderful carers/partners of choir members. People with little or no speech after stroke can often sing and the power of hearing their voices again has had an enormous emotional impact on the choir members and all who know them. Jack and Wendy reminisced about the four years since the choir began and the wonderful experiences the choir has provided for everyone. The choir started with 14 people singing favourite well known songs and now has almost 30 people who learn new songs, perform harmonies and even sing solos. The choir has gone from strength to strength, with three sold out annual public performances, publication of a book of their stories (Voices) and a documentary available for purchase or online viewing. The choir received birthday wishes from friends around the world via an international interest group which was initiated in partnership with California State University. The group “Aphasia Choirs Go Global” celebrates the positive impacts of singing for stroke survivors with little or no speech and also promotes self-advocacy, community education and empowerment. 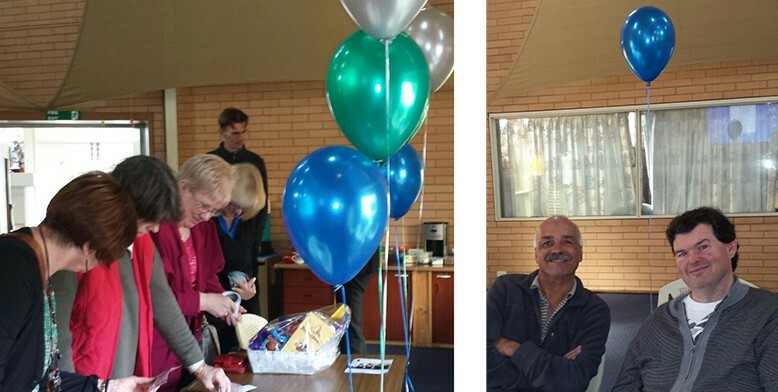 (Left) A raffle was drawn for a basket of chocolates. (Right) Gus and Brett chatted under a helium balloon. This entry was posted in Uncategorized on July 3, 2014 by crcscope.